Balthasar Limited was founded in October 2000 by Peter and Julie Baldus. Peter had been a freelance translator since 1983, working for various agencies and end-customers, including the British Home Office and the DTI. Balthasar has since specialised primarily in the translation of heating equipment documentation and brochures. Why? Quite simply, a fellow translator, Brian Harris, approached Peter in 1999, asking whether he wanted to translate some technical documents for the German manufacturer Buderus, a veritable household name in the heating sector. Brian indicated that within the next two years, he wanted to retire and did not wish to take on any more work from other manufacturers. Buderus became the first of Balthasar’s heating equipment clients, soon followed by Viessmann, Wolf Heiztechnik, Rotex and Stiebel Eltron. Buderus is now part of the Bosch Group. Through Balthasar’s activities with Buderus, the company has since also started working for Junkers and other branches of the now renamed BBT Thermotechnik. From modest beginnings at Peter and Julie’s home, Linfield House, where the team started developing, Balthasar moved to its current premises at 9b Gloucester Road. 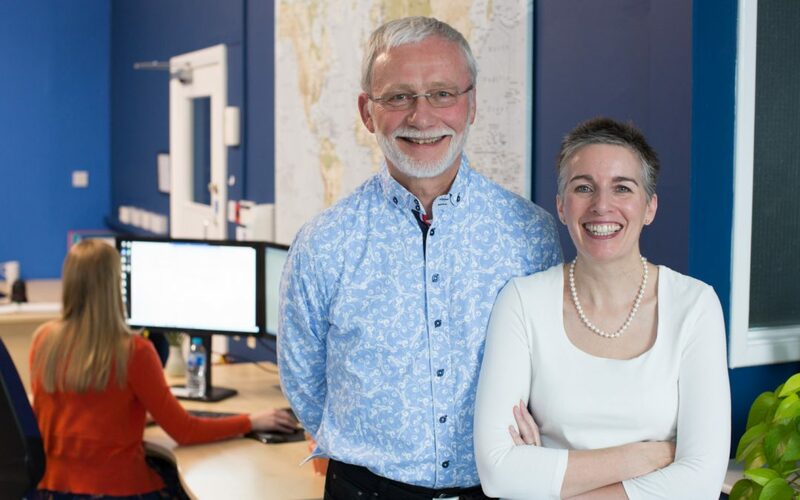 Since March 2008, the business has rapidly grown into a force of some 10+ permanent staff, ably supported by approximately 300 freelance translators across Europe, the USA and Asia. The company now turns over in excess of £½ million per annum and looks after the English language demand of two manufacturers and the demand for multi-lingual translations for many others on a regular basis. For historical reasons, the company also enjoys a close relationship with a garden tool manufacturer, SOLO. Balthasar has immense growth potential. Building up the current strong team has now enabled the company to expand its client base, which has kept the team very busy over the past few years on an ever expanding base. To continue flourishing in the future, Balthasar will need to expand by tapping into the plentiful potential offered by industrial clients and advertising agencies connected to the heating equipment industry as well as related sectors, which is still bucking the economic trend. Here, Balthasar has a truly unique role.